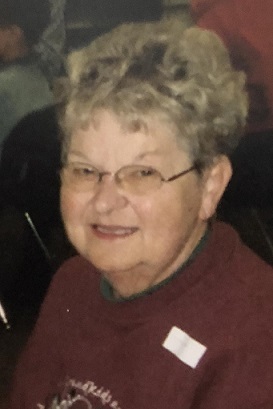 Our beloved wife, mother, grandmother and sister passed away Wednesday, October 17, 2018 at McLaren Bay Region, age 75. Lorraine was born April 3, 1943 in Bay City, Michigan to the late Ernest and Laura (Rivard) Machelski. She married Richard P. “Robbie” Robertson, Sr. at St. Hedwig Catholic Church in 1965 and he survives her. Lorraine owned and operated Gala Hair Salon on the corner of Cass and Michigan many years ago and did hair at home as well before opening Maggie's Parlor on Center Avenue. After selling Maggie's she went to work in the Deli Department at Meijer in Essexville until her retirement. Lorraine was a member of Our Lady of Czestochowa Parish-St. Stanislaus Church and enjoyed traveling to various places to see how their casinos were paying out. Making a memorable stop in LasVegas at one time. Surviving besides her husband Robbie, are two sons, Richard P. “Rich” Robertson, Jr. and John (Kristy) Robertson, four grandchildren: Nicholas Medina, Ashlyn Robertson, Anden and Chase Robertson and their mother Tracy Robertson, one brother Ernie Machelski, one brother-in-law Jim Lewandowski and a sister-in-law Christine Primeau. Lorraine was predeceased by a sister Loretta Lewandowski.